An enjoyable waterside location, this newly refurbished building carries high standard office and light industrial accommodation, with great value for money. The modernised building now bears excellent IT infrastructure and rooms are available in a variety of different sizes. A stunning construction, this is a grade II listed structure and has excellent road links to many parts of the region, including Manchester Airport only 10 miles away. For low cost office and light industrial accommodation, this grade II listed building offers a variety of units across five floors. The recently refurbished building sits on the picturesque canal two miles from Macclesfield. 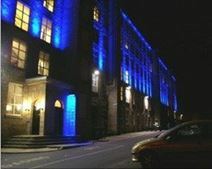 This location matches the building’s stunning exterior and gives good road links to Manchester Airport and city centre. Units are suitable for 3 to 150 people and the building features an onsite gym, free parking, 24/7 access and a café, plus up to 100Mb broadband. Four different suites of a variety of sizes are available at this prominent South Cheshire development. The site, set amidst rural surroundings in Tytherington Business Park, is well placed to make the best of local transport links. Now in phase II of development, it contains many big name companies and a wide array of amenities including a pub/restaurant, business hotel and children’s nursery.